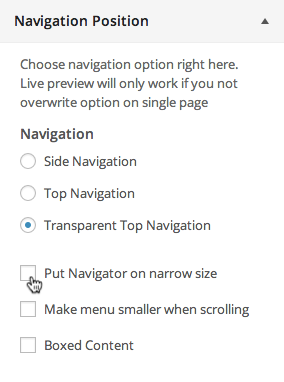 We providing option to change Navigation Position at Customizer. You can see real preview of when you change it. Horizontal Bottom Navigation We also provide Horizontal Bottom Navigation position on Lading Page, only if you’re using Top Navigation position. 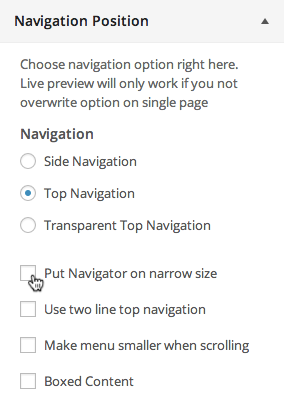 So you can put your navigation on top or bottom section of the Landing Slider on your Landing Page. For more detail information about Horizontal Bottom Navigation, you can take a look right here. 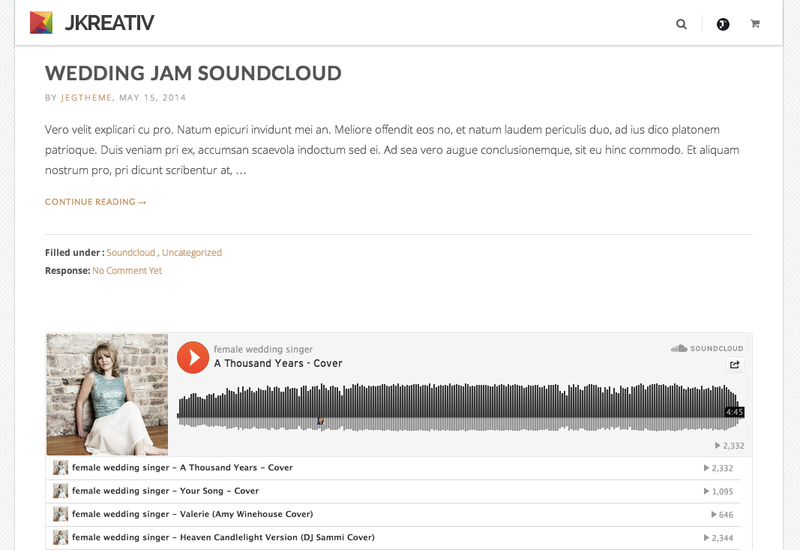 You can also change Navigation Position on every single page, portfolio or blog post by using Override Default Navigation Setup. 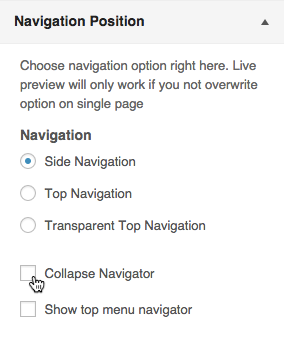 For more detail information about Override Default Navigation Setup, you can take a look right here.